Title: 'Karte von Carolina und Georgien'. 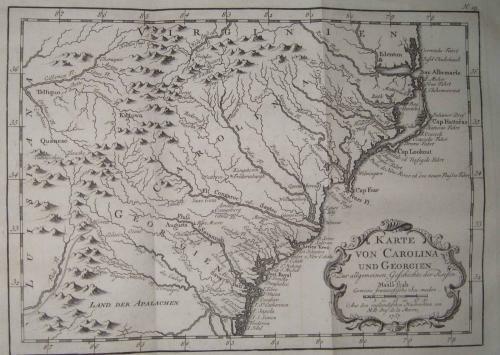 A very well engraved map of Carolina at the time of the French and Indian War. Many details of rivers, mountains and settlements.